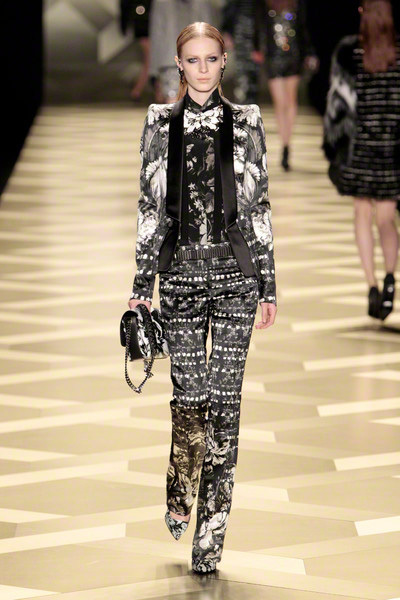 It was not only the Just Cavalli show earlier this week that demonstrated a different ‘Cavalli-feeling’; the Roberto Cavalli line took on a new chapter. 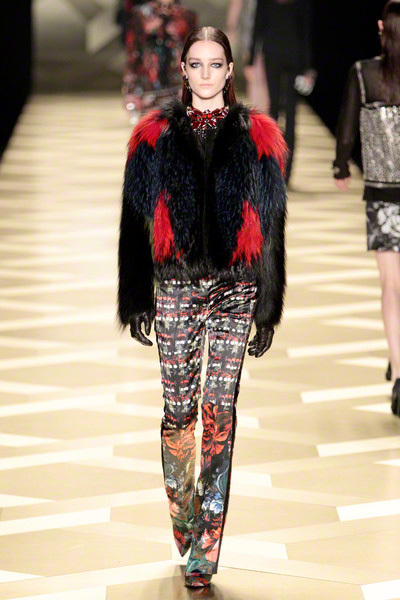 The designer seemed to have headed into a new direction for fall leaving out his regular animal prints and over the top sexiness. 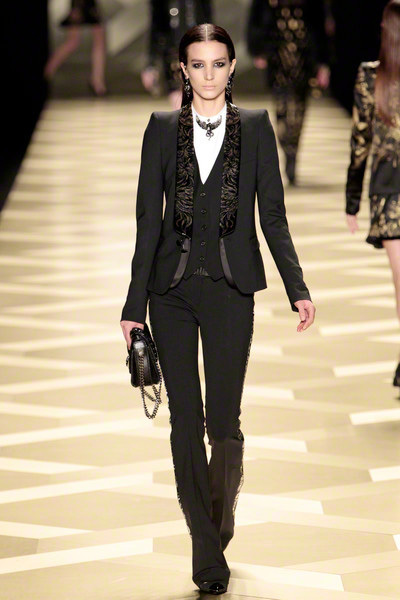 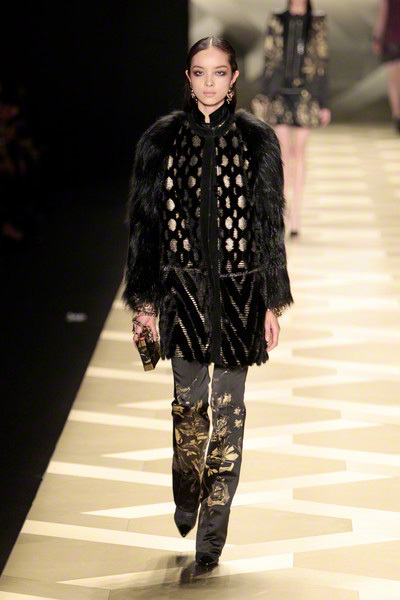 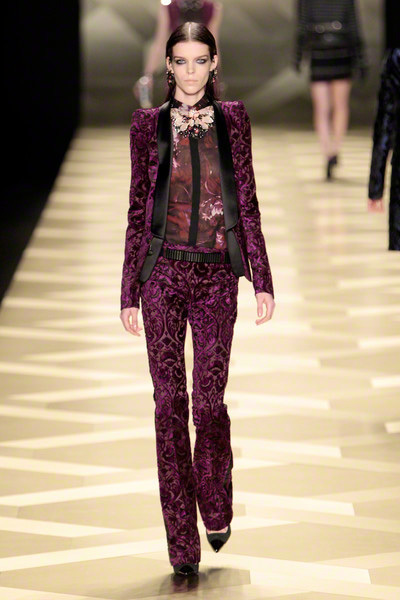 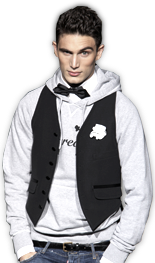 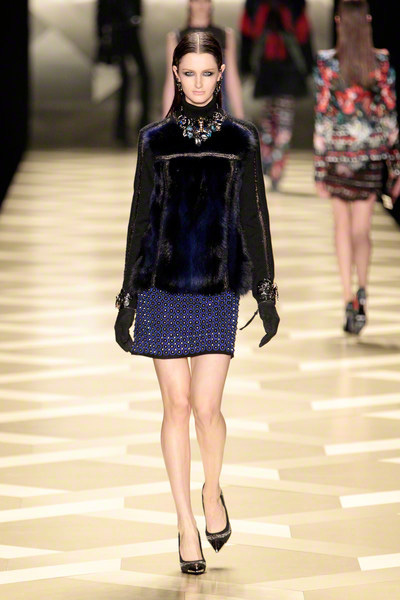 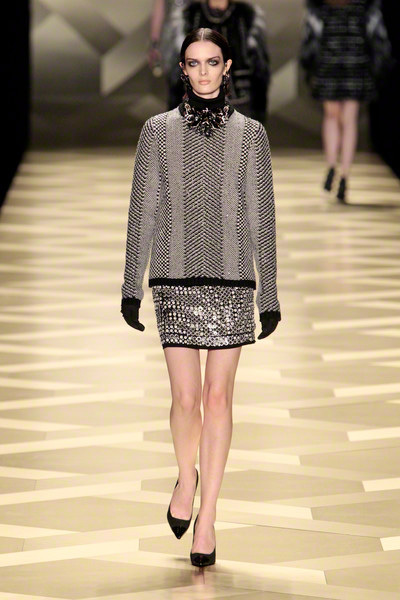 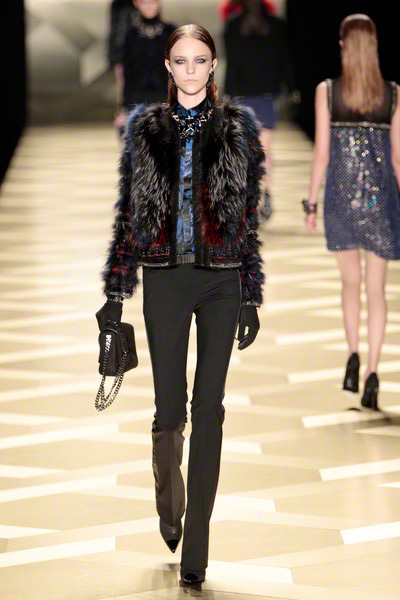 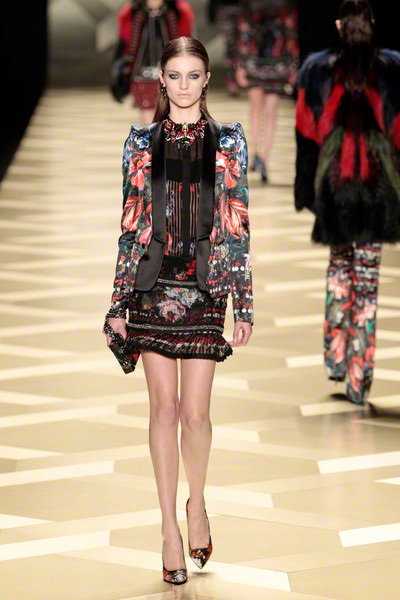 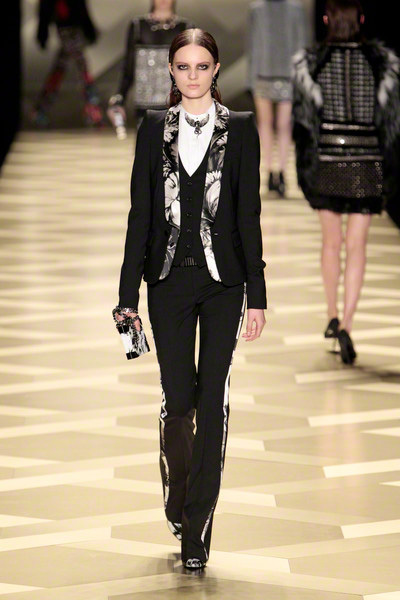 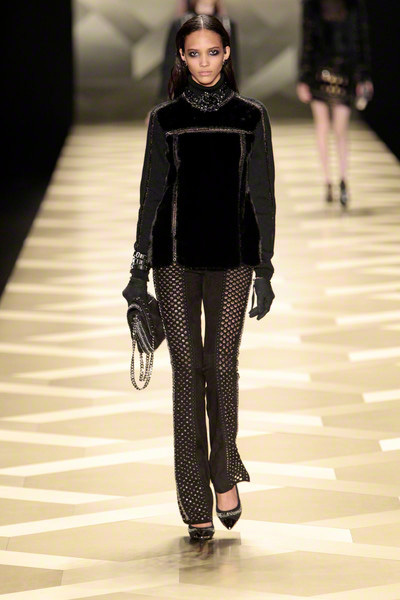 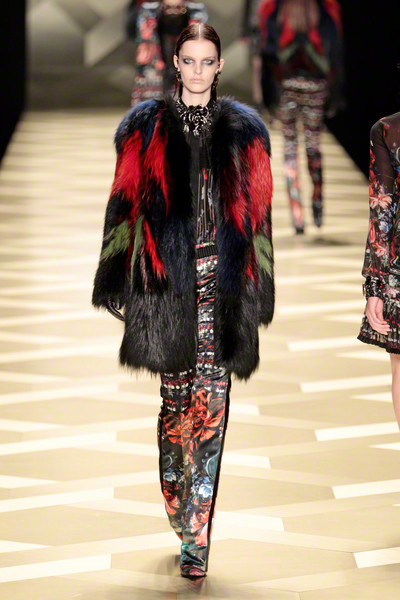 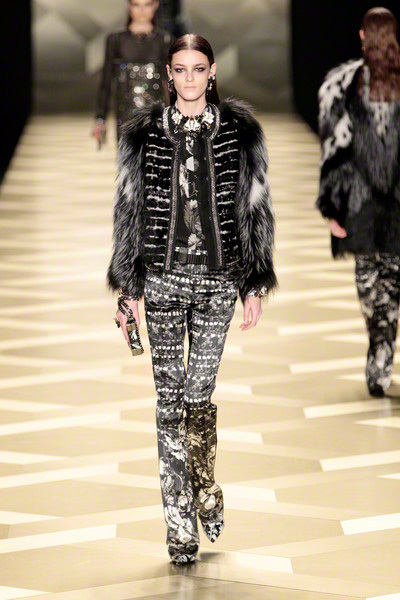 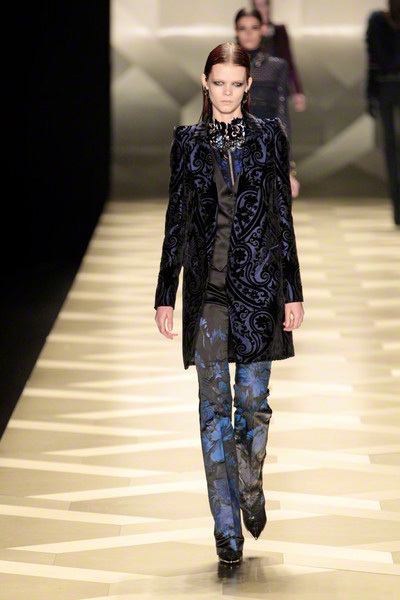 His printed suits and fur coats were still very Cavalli. 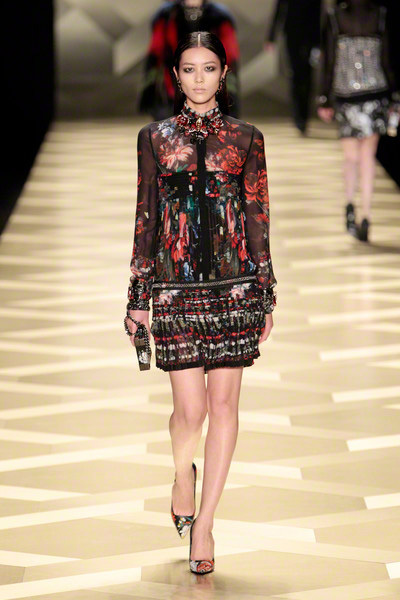 Yet his short metallic shift dresses, his oriental printed chunky sweaters and his transparent floral printed ensembles could just as well have come out of a different designer’s collection. 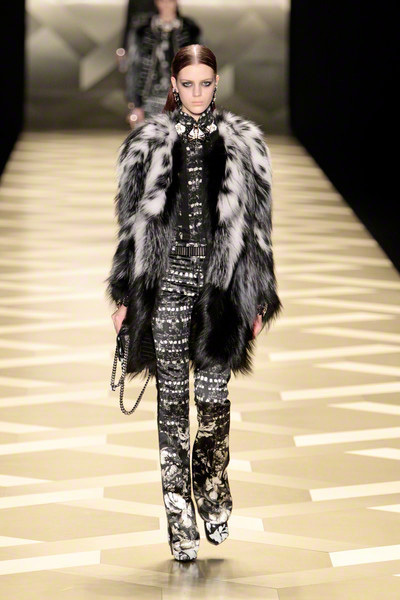 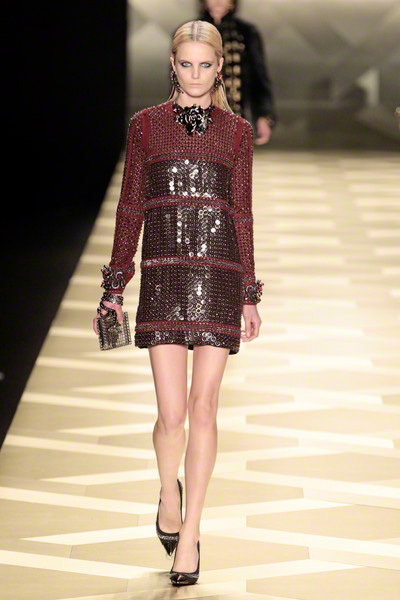 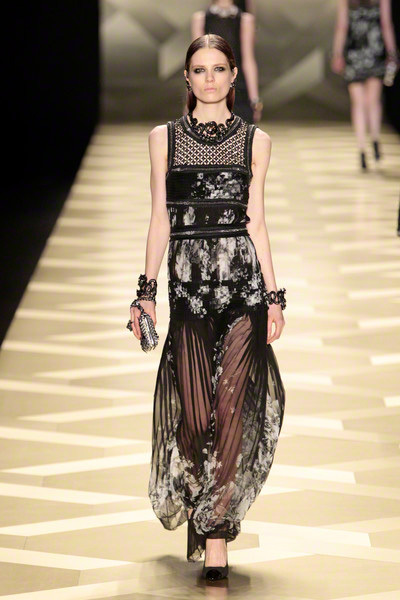 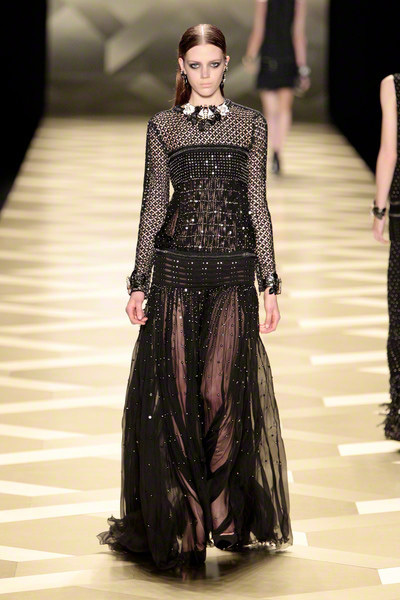 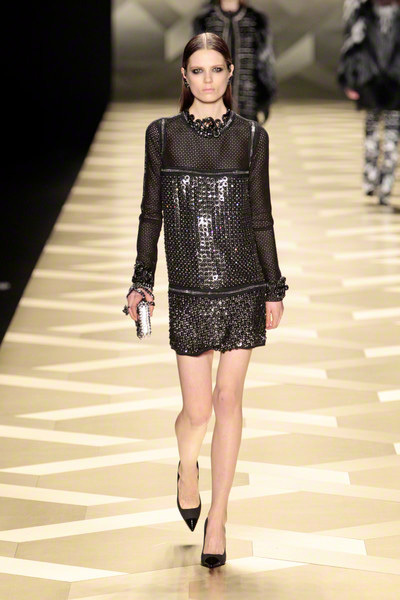 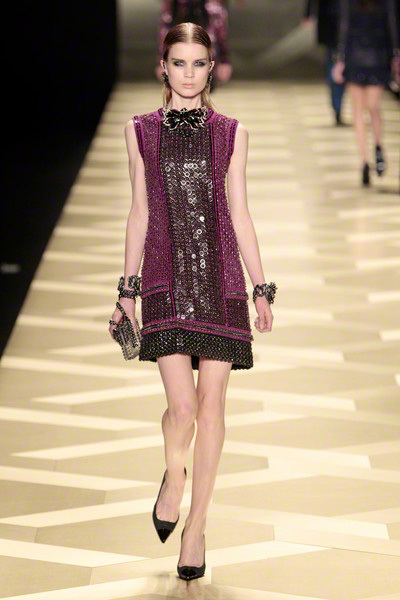 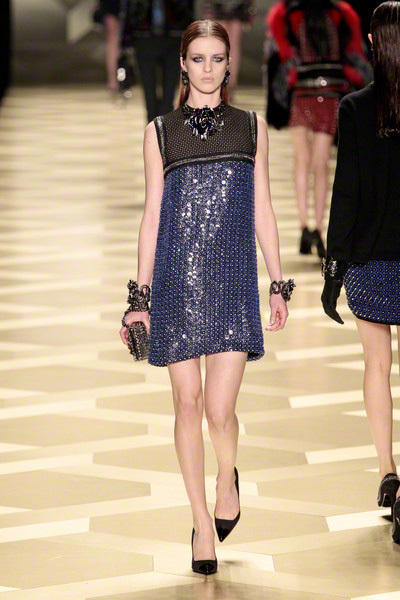 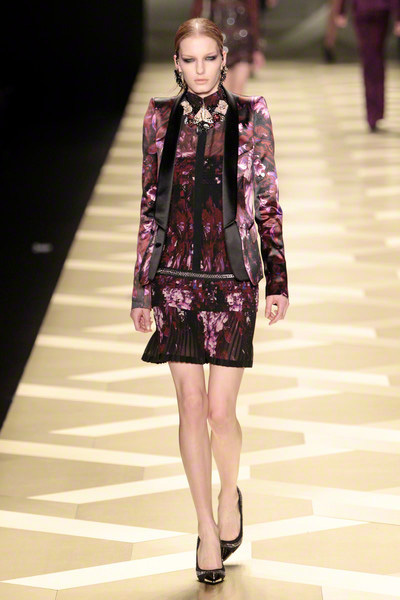 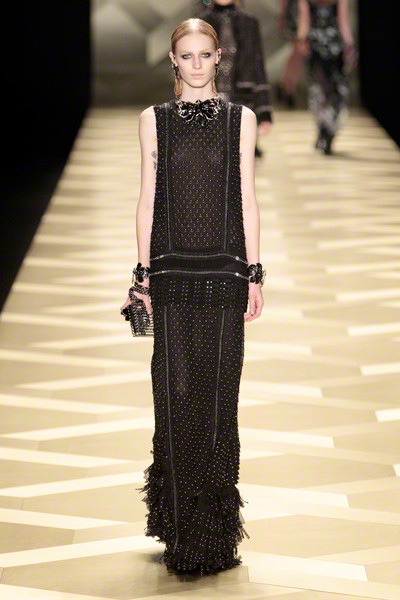 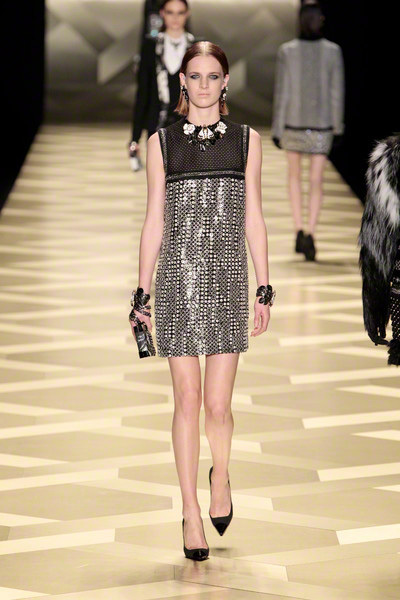 Besides black and whites Cavalli introduced deep mineral shades and with floral prints, sheerness and statement making jewelry he added a touch of romance to his industrial collection.